As announced, some images have come down. G8OQW captured this view of the coast. 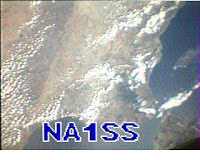 ISS was passing over the Southern tip of Spain at the time (1301 UTC). 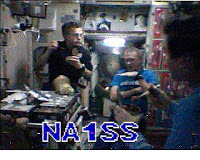 Another activation of the MAI-75 experiment using the SSTV system is scheduled from about 1000-1500 UTC on Sept 24 and 25. Expected mode is Robot 36 and the downlink frequency announced is 145.80 MHz.